Not surprisingly, I click immediately with Uta Ibrahimi, Riza’s business partner, a 32-year-old outdoor lover whose life passions take flight from Kosovo’s wild and undiscovered summits. 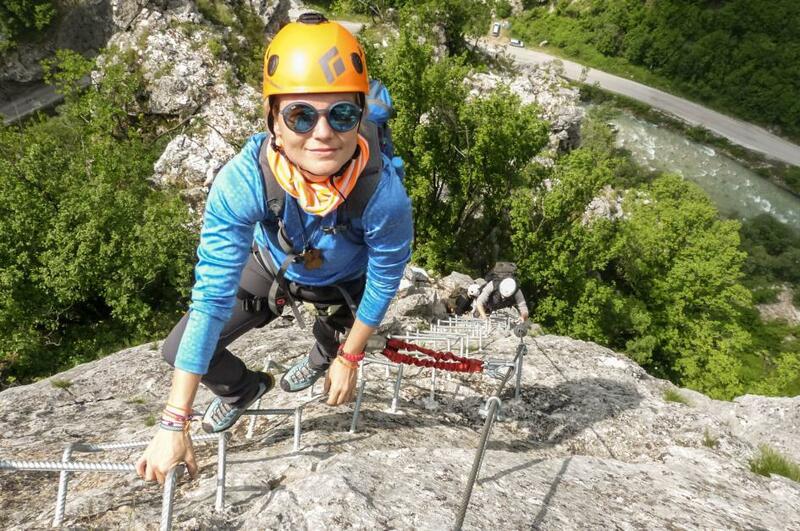 Ibrahimi takes adventurers like me to experience her country’s high peaks or single-track mountain biking through her tour company, Butterfly Outdoor Adventure. She sports mirrored sunglasses and tattoos and has edgy and defining style points punctuated with her signature boyish bangs. Well-known in outdoor communities throughout Kosovo, she’s also an outspoken member of the LGBT community in a country that is “still progressing,” as she describes it.